February 9, 2018 by "Quote Me" by Michele L BensonLeave a Comment on On My Blessed Behavior. Thanks Leah for Rocking it! Happy Blessed Monday Loves❤ Here’s a quote from my new book “Quote Me” Inspirational Quotes and Scriptures coming soon! Hello Loves, hope all is well with you and family. I have ordered the Longsleeve Grateful Child tees! They are Unisex Gildan Softstyle Longsleeve Tees available in sizes Small-3x! They will be in soon so go ahead and reserve one by letting me if your interested in them, supply is limited. I asked a question “Are you grateful for the gift God that God has given?” Lets show the world that we are grateful for the gift of his Son Jesus! November 14, 2017 by "Quote Me" by Michele L Benson2 Comments on Don’t Worry Be Holy! Trust the Lord and do good. Live in the land and feed on truth. Enjoy serving the Lord , and he will give you what you want. Depend on the Lord ; trust him, and he will take care of you. Then your goodness will shine like the sun, and your fairness like the noonday sun. 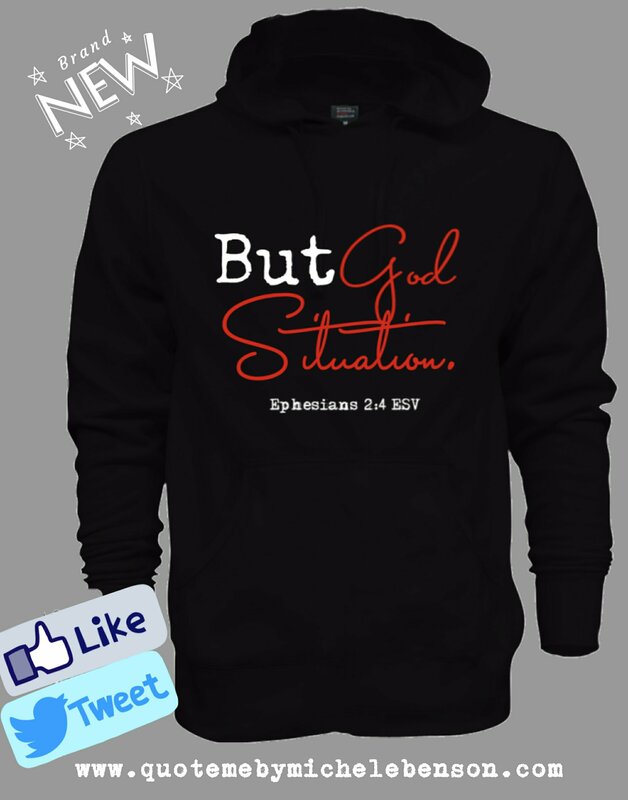 To purchase Hoodie click on the link below.